This article is about the chemical element. For the poison commonly called arsenic, see arsenic trioxide. For other uses, see Arsenic (disambiguation). Lead is a chemical element with symbol Pb and atomic number 82. It is a heavy metal that is denser than most common materials. Lead is soft and malleable, and also has a relatively low melting point. When freshly cut, lead is silvery with a hint of blue; it tarnishes to a dull gray color when exposed to air. Lead has the highest atomic number of any stable element and three of its isotopes each include a major decay chain of heavier elements. Ammunition is the material fired, scattered, dropped or detonated from any weapon. Ammunition is both expendable weapons and the component parts of other weapons that create the effect on a target. Nearly all mechanical weapons require some form of ammunition to operate. A dopant, also called a doping agent, is a trace impurity element that is inserted into a substance to alter the electrical or optical properties of the substance. In the case of crystalline substances, the atoms of the dopant very commonly take the place of elements that were in the crystal lattice of the base material. The crystalline materials are frequently either crystals of a semiconductor such as silicon and germanium for use in solid-state electronics, or transparent crystals for use in the production of various laser types; however, in some cases of the latter, noncrystalline substances such as glass can also be doped with impurities. A few species of bacteria are able to use arsenic compounds as respiratory metabolites. Trace quantities of arsenic are an essential dietary element in rats, hamsters, goats, chickens, and presumably other species. A role in human metabolism is not known. However, arsenic poisoning occurs in multicellular life if quantities are larger than needed. Arsenic contamination of groundwater is a problem that affects millions of people across the world. A metabolite is the intermediate end product of metabolism. The term metabolite is usually restricted to small molecules. Metabolites have various functions, including fuel, structure, signaling, stimulatory and inhibitory effects on enzymes, catalytic activity of their own, defense, and interactions with other organisms. A primary metabolite is directly involved in normal "growth", development, and reproduction. Ethylene is an example of a primary metabolite produced in large-scale by industrial microbiology. A secondary metabolite is not directly involved in those processes, but usually has an important ecological function. Examples include antibiotics and pigments such as resins and terpenes etc. Some antibiotics use primary metabolites as precursors, such as actinomycin which is created from the primary metabolite, tryptophan. Some sugars are metabolites, such as fructose or glucose, which are both present in the metabolic pathways. In the context of nutrition, a mineral is a chemical element required as an essential nutrient by organisms to perform functions necessary for life. However, the four major structural elements in the human body by weight, are usually not included in lists of major nutrient minerals. These four elements compose about 96% of the weight of the human body, and major minerals (macrominerals) and minor minerals compose the remainder. Arsenic poisoning is a medical condition that occurs due to elevated levels of arsenic in the body. If arsenic poisoning occurs over a brief period of time symptoms may include vomiting, abdominal pain, encephalopathy, and watery diarrhea that contains blood. Long-term exposure can result in thickening of the skin, darker skin, abdominal pain, diarrhea, heart disease, numbness, and cancer. Superfund is a United States federal government program designed to fund the cleanup of sites contaminated with hazardous substances and pollutants. Sites managed under this program are referred to as "Superfund" sites. 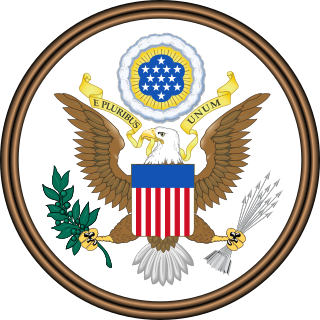 It was established as the Comprehensive Environmental Response, Compensation, and Liability Act of 1980 (CERCLA). 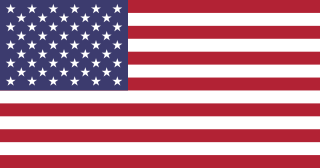 It authorizes federal natural resource agencies, primarily the Environmental Protection Agency (EPA), states and Native American tribes to recover natural resource damages caused by hazardous substances, though most states have and most often use their own versions of CERCLA. CERCLA created the Agency for Toxic Substances and Disease Registry (ATSDR). The EPA may identify parties responsible for hazardous substances releases to the environment (polluters) and either compel them to clean up the sites, or it may undertake the cleanup on its own using the Superfund and costs recovered from polluters by referring to the U.S. Department of Justice. Allotropy or allotropism is the property of some chemical elements to exist in two or more different forms, in the same physical state, known as allotropes of the elements. Allotropes are different structural modifications of an element; the atoms of the element are bonded together in a different manner. 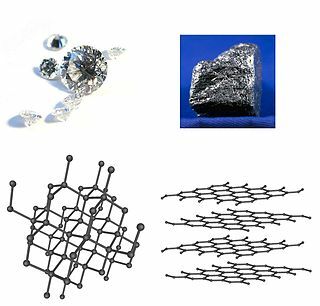 For example, the allotropes of carbon include diamond, graphite, graphene, and fullerenes. The term allotropy is used for elements only, not for compounds. The more general term, used for any crystalline material, is polymorphism. 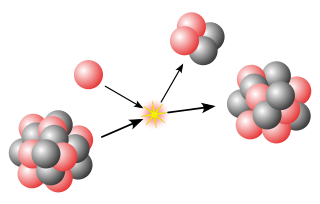 Allotropy refers only to different forms of an element within the same phase ; differences in these states alone would not constitute examples of allotropy. In mathematics, physics and chemistry, a space group is the symmetry group of a configuration in space, usually in three dimensions. In three dimensions, there are 219 distinct types, or 230 if chiral copies are considered distinct. Space groups are also studied in dimensions other than 3 where they are sometimes called Bieberbach groups, and are discrete cocompact groups of isometries of an oriented Euclidean space. A semimetal is a material with a very small overlap between the bottom of the conduction band and the top of the valence band. According to electronic band theory, solids can be classified as insulators, semiconductors, semimetals, or metals. In insulators and semiconductors the filled valence band is separated from an empty conduction band by a band gap. For insulators, the magnitude of the band gap is larger than that of a semiconductor. Because of the slight overlap between the conduction and valence bands, semimetal has no band gap and a negligible density of states at the Fermi level. A metal, by contrast, has an appreciable density of states at the Fermi level because the conduction band is partially filled. Arsenic occurs in nature as a monoisotopic element, composed of one stable isotope, 75As. As of 2003, at least 33 radioisotopes have also been synthesized, ranging in atomic mass from 60 to 92. The most stable of these is 73As with a half-life of 80.30 days. All other isotopes have half-lives of under one day, with the exception of 71As (t1/2=65.30 hours), 72As (t1/2=26.0 hours), 74As (t1/2=17.77 days), 76As (t1/2=1.0942 days), and 77As (t1/2=38.83 hours). Isotopes that are lighter than the stable 75As tend to decay by β+ decay, and those that are heavier tend to decay by β− decay, with some exceptions. A monoisotopic element is one of 26 chemical elements which have only a single stable isotope (nuclide). A list is given in a following section. Arsenic forms colorless, odorless, crystalline oxides As2O3 ("white arsenic") and As2O5 which are hygroscopic and readily soluble in water to form acidic solutions. Arsenic(V) acid is a weak acid and the salts are called arsenates,  the most common arsenic contamination of groundwater, and a problem that affects many people. Synthetic arsenates include Scheele's Green (cupric hydrogen arsenate, acidic copper arsenate), calcium arsenate, and lead hydrogen arsenate. These three have been used as agricultural insecticides and poisons. During the Bronze Age, arsenic was often included in bronze, which made the alloy harder (so-called "arsenical bronze"). Albertus Magnus (Albert the Great, 1193–1280) is believed to have been the first to isolate the element from a compound in 1250, by heating soap together with arsenic trisulfide. In 1649, Johann Schröder published two ways of preparing arsenic. Crystals of elemental (native) arsenic are found in nature, although rare. During the 18th, 19th, and 20th centuries, a number of arsenic compounds were used as medicines, including arsphenamine (by Paul Ehrlich) and arsenic trioxide (by Thomas Fowler). Arsphenamine, as well as neosalvarsan, was indicated for syphilis and trypanosomiasis, but has been superseded by modern antibiotics. Arsenic is used in bronzing  and pyrotechnics. Arsenic has been linked to epigenetic changes, heritable changes in gene expression that occur without changes in DNA sequence. These include DNA methylation, histone modification, and RNA interference. Toxic levels of arsenic cause significant DNA hypermethylation of tumor suppressor genes p16 and p53, thus increasing risk of carcinogenesis. These epigenetic events have been studied in vitro using human kidney cells and in vivo using rat liver cells and peripheral blood leukocytes in humans. Inductively coupled plasma mass spectrometry (ICP-MS) is used to detect precise levels of intracellular arsenic and other arsenic bases involved in epigenetic modification of DNA. Studies investigating arsenic as an epigenetic factor can be used to develop precise biomarkers of exposure and susceptibility. Analyzing multiple epidemiological studies on inorganic arsenic exposure suggests a small but measurable increase in risk for bladder cancer at 10 ppb. According to Peter Ravenscroft of the Department of Geography at the University of Cambridge,  roughly 80 million people worldwide consume between 10 and 50 ppb arsenic in their drinking water. If they all consumed exactly 10 ppb arsenic in their drinking water, the previously cited multiple epidemiological study analysis would predict an additional 2,000 cases of bladder cancer alone. This represents a clear underestimate of the overall impact, since it does not include lung or skin cancer, and explicitly underestimates the exposure. Those exposed to levels of arsenic above the current WHO standard should weigh the costs and benefits of arsenic remediation. One tool that maps the location (and other information) of arsenic releases in the United State is TOXMAP. TOXMAP is a Geographic Information System (GIS) from the Division of Specialized Information Services of the United States National Library of Medicine (NLM) funded by the US Federal Government. With marked-up maps of the United States, TOXMAP enables users to visually explore data from the United States Environmental Protection Agency's (EPA) Toxics Release Inventory and Superfund Basic Research Programs. TOXMAP's chemical and environmental health information is taken from NLM's Toxicology Data Network (TOXNET),  PubMed, and from other authoritative sources. Physical, chemical, and biological methods have been used to remediate arsenic contaminated water. Bioremediation is said to be cost effective and environmentally friendly  Bioremediation of ground water contaminated with arsenic aims to convert arsenite, the toxic form of arsenic to humans, to arsenate. Arsenate (+5 oxidation state) is the dominant form of arsenic in surface water, while arsenite (+3 oxidation state) is the dominant form in hypoxic to anoxic environments. Arsenite is more soluble and mobile than arsenate. Many species of bacteria can transform arsenite to arsenate in anoxic conditions by using arsenite as an electron donor. This is a useful method in ground water remediation. Another bioremediation strategy is to use plants that accumulate arsenic in their tissues via phytoremediation but the disposal of contaminated plant material needs to be considered. In the United States since 2006, the maximum concentration in drinking water allowed by the Environmental Protection Agency (EPA) is 10 ppb  and the FDA set the same standard in 2005 for bottled water. [ unreliable source? ] The Department of Environmental Protection for New Jersey set a drinking water limit of 5 ppb in 2006. The IDLH (immediately dangerous to life and health) value for arsenic metal and inorganic arsenic compounds is 5 mg/m3 (5 ppb). The Occupational Safety and Health Administration has set the permissible exposure limit (PEL) to a time-weighted average (TWA) of 0.01 mg/m3 (0.01 ppb), and the National Institute for Occupational Safety and Health (NIOSH) has set the recommended exposure limit (REL) to a 15-minute constant exposure of 0.002 mg/m3 (0.002 ppb). The PEL for organic arsenic compounds is a TWA of 0.5 mg/m3. (0.5 ppb). 1,4-Dioxane is a heterocyclic organic compound, classified as an ether. It is a colorless liquid with a faint sweet odor similar to that of diethyl ether. The compound is often called simply dioxane because the other dioxane isomers are rarely encountered. 4. An arsenate (compound) is any compound that contains this ion. Arsenates are salts or esters of arsenic acid. The arsenic atom in arsenate has a valency of 5 and is also known as pentavalent arsenic or As(V). Arsenate resembles phosphate in many respects, since arsenic and phosphorus occur in the same group (column) of the periodic table. Arsenates are moderate oxidizers, with an electrode potential of +0.56 V for reduction to arsenites. Arsenic acid is the chemical compound with the formula H3AsO4. More descriptively written as AsO(OH)3, this colorless acid is the arsenic analogue of phosphoric acid. Arsenate and phosphate salts behave very similarly. Arsenic acid as such has not been isolated, but is only found in solution, where it is largely ionized. Its hemihydrate form (H3AsO4·​1⁄2H2O) does form stable crystals. Crystalline samples dehydrate with condensation at 100 °C. Arsenous acid (or arsenious acid) is the inorganic compound with the formula H3AsO3. It is known to occur in aqueous solutions, but it has not been isolated as a pure material, although this fact does not detract from the significance of As(OH)3. Hexavalent chromium is any chemical compound that contains the element chromium in the +6 oxidation state. Virtually all chromium ore is processed via hexavalent chromium, specifically the salt sodium dichromate. Approximately 136,000 tonnes (300,000,000 lb) of hexavalent chromium were produced in 1985. Additional hexavalent chromium compounds are chromium trioxide and various salts of chromate and dichromate, among others. Hexavalent chromium is used in textile dyes, wood preservation, anti-corrosion products, chromate conversion coatings, and a variety of niche uses. Industrial uses of hexavalent chromium compounds include chromate pigments in dyes, paints, inks, and plastics; chromates added as anticorrosive agents to paints, primers, and other surface coatings; and chromic acid electroplated onto metal parts to provide a decorative or protective coating. 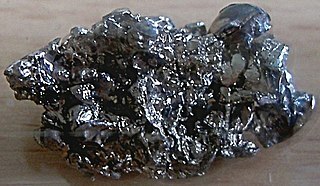 Hexavalent chromium can be formed when performing "hot work" such as welding on stainless steel or melting chromium metal. In these situations the chromium is not originally hexavalent, but the high temperatures involved in the process result in oxidation that converts the chromium to a hexavalent state. Hexavalent chromium can also be found in drinking water and public water systems. Arsenic pentoxide is the inorganic compound with the formula As2O5. This glassy, white, deliquescent solid is relatively unstable, consistent with the rarity of the As(V) oxidation state. More common, and far more important commercially, is arsenic(III) oxide (As2O3). All arsenic compounds are highly toxic and thus find only limited commercial applications. Sodium arsenite usually refers to the inorganic compound with the formula NaAsO2. Also called sodium meta-arsenite, it is the sodium salt of arsenous acid. Sodium ortho-arsenite is Na3AsO3. The compounds are colourless solids. Monosodium methyl arsenate (MSMA) is an arsenic-based herbicide. It is an organo-arsenate; less toxic than the inorganic form of arsenates. However, the EPA states that all forms of arsenic are a serious risk to human health and the United States' Agency for Toxic Substances and Disease Registry ranked arsenic as number 1 in its 2001 Priority List of Hazardous Substances at Superfund sites. 3. It is chemically related to Paris Green. It is a yellowish-green pigment which in the past was used in some paints, but has since fallen out of use because of its toxicity and the instability of its color in the presence of sulfides and various chemical pollutants. Arsenic contamination of groundwater is a form of groundwater pollution which is often due to naturally occurring high concentrations of arsenic in deeper levels of groundwater. It is a high-profile problem due to the use of deep tubewells for water supply in the Ganges Delta, causing serious arsenic poisoning to large numbers of people. A 2007 study found that over 137 million people in more than 70 countries are probably affected by arsenic poisoning of drinking water. The problem became serious health concern after mass poisoning of water in Bangladesh. Arsenic contamination of ground water is found in many countries throughout the world, including the US. Potassium arsenite (KAsO2) is an inorganic compound that exists in two forms, potassium meta-arsenite (KAsO2) and potassium ortho-arsenite (K3AsO3). It is composed of arsenite ions (AsO33− or AsO2−) with arsenic always existing in the +3 oxidation state, and potassium existing in the +1 oxidation state. Like many other arsenic containing compounds, potassium arsenite is highly toxic and carcinogenic to humans. Potassium arsenite forms the basis of Fowler’s solution, which was historically used as a medicinal tonic, but due to its toxic nature its use was discontinued. Potassium arsenite is still, however, used as a rodenticide. Disodium methyl arsonate (DSMA) is the organoarsenic compound with the formula CH3AsO3Na2. It is a colorless, water-soluble solid derived from methanearsonic acid. It is used as a herbicide. Tradenames include Metharsinat, Arrhenal, Disomear, Metharsan, Stenosine, Tonarsan, Tonarsin, Arsinyl, Arsynal, and Diarsen. An arsenical keratosis is a growth of keratin on the skin caused by arsenic, which occurs naturally in the earth's crust and is widely distributed in the environment, Arsenical compounds are used in industrial, agricultural, and medicinal substances. Arsenic is also found to be an environmental contaminant in drinking water and an occupational hazard for miners and glass workers. Arsenic may also causes other conditions including: Bowen's disease, cardiovascular diseases, developmental abnormalities, neurologic and neurobehavioral disorders, diabetes, hearing loss, hematologic disorders, and various types of cancer. Arsenical keratoses may persist indefinitely, and some may develop into invasive squamous cell carcinoma. Metastatic arsenic squamous cell carcinoma and arsenic-induced malignancies in internal organs such as the bladder, kidney, skin, liver, and colon, may result in death. Arsenate-reducing bacteria are bacteria which reduce arsenates. Arsenate-reducing bacteria are ubiquitous in arsenic-contaminated groundwater (aqueous environment). Arsenates are salts or esters of arsenic acid (H3AsO4), consisting of the ion AsO43−. They are moderate oxidizers that can be reduced to arsenites and to arsine. Arsenate can serve as a respiratory electron acceptor for oxidation of organic substrates and H2S or H2. Arsenates occur naturally in minerals such as adamite, alarsite, legrandite, and erythrite, and as hydrated or anhydrous arsenates. Arsenates are similar to phosphates since arsenic (As) and phosphorus (P) occur in group 15 (or VA) of the periodic table. Unlike phosphates, arsenates are not readily lost from minerals due to weathering. They are the predominant form of inorganic arsenic in aqueous aerobic environments. On the other hand, arsenite is more common in anaerobic environments, more mobile, and more toxic than arsenate. Arsenite is 25–60 times more toxic and more mobile than arsenate under most environmental conditions. Arsenate can lead to poisoning, since it can replace inorganic phosphate in the glyceraldehyde-3-phosphate --> 1,3-biphosphoglycerate step of glycolysis, producing 1-arseno-3-phosphoglycerate instead. Although glycolysis continues, 1 ATP molecule is lost. Thus, arsenate is toxic due to its ability to uncouple glycolysis. Arsenate can also inhibit pyruvate conversion into acetyl-CoA, thereby blocking the TCA cycle, resulting in additional loss of ATP. ↑ Uthus, Eric O. (1992). "Evidence for arsenic essentiality". Environmental Geochemistry and Health. 14 (2): 55–58. doi:10.1007/BF01783629. PMID 24197927. ↑ Uthus E.O., Arsenic essentiality and factors affecting its importance. In: Chappell W.R, Abernathy C.O, Cothern C.R. eds., Arsenic Exposure and Health. Northwood, UK: Science and Technology Letters, 1994, 199–208. 1 2 3 4 5 6 Holleman, Arnold F.; Wiberg, Egon; Wiberg, Nils (1985). "Arsen". Lehrbuch der Anorganischen Chemie (in German) (91–100 ed.). Walter de Gruyter. pp. 675–681. ISBN 978-3-11-007511-3. ↑ Chisholm, Hugh, ed. (1911). "Arsenic" . Encyclopædia Britannica . 2 (11th ed.). Cambridge University Press. pp. 651–654. ↑ Uher, Ctirad (2001). "Chapter 5 Skutterudites: Prospective novel thermoelectrics". Recent Trends in Thermoelectric Materials Research I: Skutterudites: Prospective novel thermoelectrics. Semiconductors and Semimetals. 69. pp. 139–253. doi:10.1016/S0080-8784(01)80151-4. ISBN 978-0-12-752178-7. ↑ Ossicini, Stefano; Pavesi, Lorenzo; Priolo, Francesco (1 January 2003). Light Emitting Silicon for Microphotonics. ISBN 978-3-540-40233-6 . Retrieved 2013-09-27. ↑ Din, M. B.; Gould, R. D. (1998). High field conduction mechanism of the evaporated cadmium arsenide thin films. ICSE'98. 1998 IEEE International Conference on Semiconductor Electronics. Proceedings (Cat. No.98EX187). p. 168. doi:10.1109/SMELEC.1998.781173. ISBN 978-0-7803-4971-1. 1 2 Harper, Douglas. "arsenic". Online Etymology Dictionary . Retrieved 2010-05-15. ↑ Holmyard John Eric (2007). Makers of Chemistry. Read Books. ISBN 978-1-4067-3275-7. ↑ Emsley, John (2001). Nature's Building Blocks: An A-Z Guide to the Elements. Oxford: Oxford University Press. pp. 43, 513, 529. ISBN 978-0-19-850341-5. ↑ Seyferth, Dietmar (2001). "Cadet's Fuming Arsenical Liquid and the Cacodyl Compounds of Bunsen". Organometallics. 20 (8): 1488–1498. doi: 10.1021/om0101947 . ↑ Hawksley, Lucinda (2016). Bitten by Witch Fever: Wallpaper & Arsenic in the Victorian Home. New York: Thames & Hudson. ↑ Nachman, Keeve E.; Graham, Jay P.; Price, Lance B.; Silbergeld, Ellen K. (2005). "Arsenic: A Roadblock to Potential Animal Waste Management Solutions". Environmental Health Perspectives. 113 (9): 1123–1124. doi:10.1289/ehp.7834. PMC 1280389 . PMID 16140615. ↑ Jones, F. T. (2007). "A Broad View of Arsenic". Poultry Science. 86 (1): 2–14. doi: 10.1093/ps/86.1.2 . PMID 17179408. 1 2 Staff (8 June 2011). "Questions and Answers Regarding 3-Nitro (Roxarsone)". U.S. Food and Drug Administration . Retrieved 2012-09-21. ↑ Gray, Theodore (Apr 3, 2012). "Arsenic". In Gray, Theodore; Mann, Nick. Elements: A Visual Exploration of Every Known Atom in the Universe. Hachette Books. ISBN 978-1579128951. ↑ Gibaud, Stéphane; Jaouen, Gérard (2010). Arsenic – based drugs: from Fowler's solution to modern anticancer chemotherapy. Topics in Organometallic Chemistry. 32. pp. 1–20. Bibcode:2010moc..book....1G. doi:10.1007/978-3-642-13185-1_1. ISBN 978-3-642-13184-4. ↑ Huet, P. M.; Guillaume, E.; Cote, J.; Légaré, A.; Lavoie, P.; Viallet, A. (1975). "Noncirrhotic presinusoidal portal hypertension associated with chronic arsenical intoxication". Gastroenterology. 68 (5 Pt 1): 1270–1277. doi:10.1016/S0016-5085(75)80244-7 (inactive 2019-03-08). PMID 1126603. ↑ Jennewein, Marc; Lewis, M. A.; Zhao, D.; Tsyganov, E.; Slavine, N.; He, J.; Watkins, L.; Kodibagkar, V. D.; O'Kelly, S.; Kulkarni, P.; Antich, P.; Hermanne, A.; Rösch, F.; Mason, R.; Thorpe, Ph. (2008). "Vascular Imaging of Solid Tumors in Rats with a Radioactive Arsenic-Labeled Antibody that Binds Exposed Phosphatidylserine". Journal of Clinical Cancer. 14 (5): 1377–1385. doi:10.1158/1078-0432.CCR-07-1516. PMC 3436070 . PMID 18316558. ↑ Bagshaw, N. E. (1995). "Lead alloys: Past, present and future". Journal of Power Sources. 53 (1): 25–30. Bibcode:1995JPS....53...25B. doi:10.1016/0378-7753(94)01973-Y. ↑ Cross, J. D.; Dale, I. M.; Leslie, A. C. D.; Smith, H. (1979). "Industrial exposure to arsenic". Journal of Radioanalytical Chemistry. 48 (1–2): 197–208. doi:10.1007/BF02519786. ↑ Mukhopadhyay, Rita; Rosen, Barry P.; Phung, Le T.; Silver, Simon (2002). "Microbial arsenic: From geocycles to genes and enzymes". FEMS Microbiology Reviews. 26 (3): 311–25. doi: 10.1111/j.1574-6976.2002.tb00617.x . PMID 12165430. ↑ Santini, J. M.; Sly, L. I.; Schnagl, R. D.; Macy, J. M. (2000-01-01). "A New Chemolithoautotrophic Arsenite-Oxidizing Bacterium Isolated from a Gold Mine: Phylogenetic, Physiological, and Preliminary Biochemical Studies". Applied and Environmental Microbiology. 66 (1): 92–97. doi:10.1128/aem.66.1.92-97.2000. ISSN 0099-2240. PMC 91790 . ↑ Kulp, T. R; Hoeft, S. E.; Asao, M.; Madigan, M. T.; Hollibaugh, J. T.; Fisher, J. C.; Stolz, J. F.; Culbertson, C. W.; Miller, L. G.; Oremland, R. S. (2008). "Arsenic(III) fuels anoxygenic photosynthesis in hot spring biofilms from Mono Lake, California". Science . 321 (5891): 967–970. Bibcode:2008Sci...321..967K. doi:10.1126/science.1160799. PMID 18703741. Lay summary –Chemistry World, 15 August 2008. ↑ Reaves, M. L.; Sinha, S.; Rabinowitz, J. D.; Kruglyak, L.; Redfield, R. J. (2012). "Absence of Detectable Arsenate in DNA from Arsenate-Grown GFAJ-1 Cells". Science. 337 (6093): 470–3. arXiv: 1201.6643 . Bibcode:2012Sci...337..470R. doi:10.1126/science.1219861. PMC 3845625 . PMID 22773140. ↑ Baccarelli, A.; Bollati, V. (2009). "Epigenetics and environmental chemicals". Current Opinion in Pediatrics. 21 (2): 243–251. doi:10.1097/MOP.0b013e32832925cc. PMC 3035853 . PMID 19663042. ↑ Reimer, K. J.; Koch, I.; Cullen, W.R. (2010). Organoarsenicals. Distribution and transformation in the environment. Metal Ions in Life Sciences. 7. pp. 165–229. doi:10.1039/9781849730822-00165. ISBN 978-1-84755-177-1. PMID 20877808. ↑ Bentley, Ronald; Chasteen, T. G. (2002). "Microbial Methylation of Metalloids: Arsenic, Antimony, and Bismuth". Microbiology and Molecular Biology Reviews. 66 (2): 250–271. doi:10.1128/MMBR.66.2.250-271.2002. PMC 120786 . PMID 12040126. ↑ Lamm, S. H.; Engel, A.; Penn, C. A.; Chen, R.; Feinleib, M. (2006). "Arsenic cancer risk confounder in southwest Taiwan data set". Environ. Health Perspect. 114 (7): 1077–82. doi:10.1289/ehp.8704. PMC 1513326 . PMID 16835062. ↑ Knobeloch, L. M.; Zierold, K. M.; Anderson, H. A. (2006). "Association of arsenic-contaminated drinking-water with prevalence of skin cancer in Wisconsin's Fox River Valley". J. Health Popul Nutr. 24 (2): 206–13. hdl: 1807/50099 . PMID 17195561. ↑ Courtney, D.; Ely, Kenneth H.; Enelow, Richard I.; Hamilton, Joshua W. (2009). "Low Dose Arsenic Compromises the Immune Response to Influenza A Infection in vivo". Environmental Health Perspectives. 117 (9): 1441–7. doi:10.1289/ehp.0900911. PMC 2737023 . PMID 19750111. ↑ Ferreccio, C.; Sancha, A. M. (2006). "Arsenic exposure and its impact on health in Chile". J Health Popul Nutr. 24 (2): 164–75. hdl: 1807/50095 . PMID 17195557. ↑ Talhout, Reinskje; Schulz, Thomas; Florek, Ewa; Van Benthem, Jan; Wester, Piet; Opperhuizen, Antoon (2011). "Hazardous Compounds in Tobacco Smoke". International Journal of Environmental Research and Public Health. 8 (12): 613–628. doi:10.3390/ijerph8020613. ISSN 1660-4601. PMC 3084482 . PMID 21556207. ↑ Chu, H. A.; Crawford-Brown, D. J. (2006). "Inorganic arsenic in drinking water and bladder cancer: a meta-analysis for dose-response assessment". Int. J. Environ. Res. Public Health. 3 (4): 316–22. doi: 10.3390/ijerph2006030039 . PMID 17159272. ↑ Gulledge, John H.; O'Connor, John T. (1973). "Removal of Arsenic (V) from Water by Adsorption on Aluminum and Ferric Hydroxides". J. American Water Works Assn. 65 (8): 548–552. doi:10.1002/j.1551-8833.1973.tb01893.x. ↑ Radloff, K. A.; Zheng, Y.; Michael, H. A.; Stute, M.; Bostick, B. C.; Mihajlov, I.; Bounds, M.; Huq, M. R.; Choudhury, I.; Rahman, M.; Schlosser, P.; Ahmed, K.; Van Geen, A. (2011). "Arsenic migration to deep groundwater in Bangladesh influenced by adsorption and water demand". Nature Geoscience. 4 (11): 793–798. Bibcode:2011NatGe...4..793R. doi:10.1038/ngeo1283. PMC 3269239 . PMID 22308168. ↑ Meliker, J. R.; Wahl, R. L.; Cameron, L. L.; Nriagu, J. O. (2007). "Arsenic in drinking water and cerebrovascular disease, diabetes mellitus, and kidney disease in Michigan: A standardized mortality ratio analysis". Environmental Health. 6: 4. doi:10.1186/1476-069X-6-4. PMC 1797014 . PMID 17274811. ↑ Tseng, Chin-Hsiao; Tai, Tong-Yuan; Chong, Choon-Khim; Tseng, Ching-Ping; Lai, Mei-Shu; Lin, Boniface J.; Chiou, Hung-Yi; Hsueh, Yu-Mei; Hsu, Kuang-Hung; Chen, C. J. (2000). "Long-Term Arsenic Exposure and Incidence of Non-Insulin-Dependent Diabetes Mellitus: A Cohort Study in Arseniasis-Hyperendemic Villages in Taiwan". Environmental Health Perspectives. 108 (9): 847–51. doi:10.1289/ehp.00108847. PMC 2556925 . PMID 11017889. ↑ Hopenhayn-Rich, C.; Biggs, M. L.; Smith, A. H.; Kalman, D. A.; Moore, L. E. (1996). "Methylation study of a population environmentally exposed to arsenic in drinking water". Environmental Health Perspectives. 104 (6): 620–628. doi:10.1289/ehp.96104620. PMC 1469390 . PMID 8793350. ↑ Smith, A. H.; Arroyo, A. P.; Mazumder, D. N.; Kosnett, M. J.; Hernandez, A. L.; Beeris, M.; Smith, M. M.; Moore, L. E. (2000). "Arsenic-induced skin lesions among Atacameño people in Northern Chile despite good nutrition and centuries of exposure" (PDF). Environmental Health Perspectives. 108 (7): 617–620. doi:10.1289/ehp.00108617. PMC 1638201 . PMID 10903614. ↑ Johnson, D. L; Pilson, M. E. Q (1975). "The oxidation of arsenite in seawater". Environmental Letters. 8 (2): 157–171. doi:10.1080/00139307509437429. PMID 236901. ↑ Cherry, J. A. (1979). "Arsenic species as an indicator of redox conditions in groundwater". Contemporary Hydrogeology - the George Burke Maxey Memorial Volume. Developments in Water Science. 12. pp. 373–392. doi:10.1016/S0167-5648(09)70027-9. ISBN 9780444418487. ↑ "Chromated Copper Arsenate (CCA)". US Environmental Protection Agency. Retrieved 2018-10-15. ↑ Goering, P. (2015). "Anaerobic arsenite oxidation with an electrode serving as the sole electron acceptor: A novel approach to the bioremediation of arsenic-polluted groundwater". Journal of Hazardous Materials. 283: 617–622. doi:10.1016/j.jhazmat.2014.10.014. PMID 25464303. ↑ "Arsenic". Sigma Aldrich. 15 October 2018. Retrieved 2018-10-15. ↑ NIOSH Pocket Guide to Chemical Hazards. "#0038". National Institute for Occupational Safety and Health (NIOSH). ↑ NIOSH Pocket Guide to Chemical Hazards. "#0039". National Institute for Occupational Safety and Health (NIOSH). ↑ Peplow, Mark (2 August 2005). "US rice may carry an arsenic burden". Nature News. doi:10.1038/news050801-5 (inactive 2019-03-08). ↑ Giannini, A. James; Black, Henry Richard; Goettsche, Roger L. (1978). The Psychiatric, Psychogenic and Somatopsychic Disorders Handbook. New Hyde Park, NY: Medical Examination Publishing Co. pp. 81–82. ISBN 978-0-87488-596-5. Emsley, John (2011). "Arsenic". Nature's Building Blocks: An A-Z Guide to the Elements. Oxford, England, UK: Oxford University Press. pp. 47–55. ISBN 978-0-19-960563-7. Wikimedia Commons has media related to Arsenic .